Lately I've been writing quite a bit about the back to school season and getting ready for the upcoming year. Its one of the biggest and busiest times of the year for teachers so I'd like to celebrate with a giveaway! 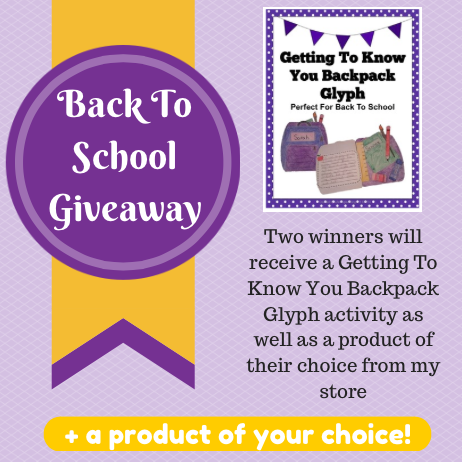 Two winners will receive my Getting To Know You- Backpack Glyph as well as a resource of their choice from my store. Thank you!!! I'm keeping my fingers crossed! Thanks! I would love for you to enter my giveaway too!